Well, Phoenix is officially in the 100’s. Monday we were at 106 degrees (F) already. Sheesh!! Which means, it’s time to head up to the mountains for some camping and cooler weather. Which got me thinking. Lately, I’ve been trying to think of new creations to make of my own. Making other peoples recipes is fine and all, but I really want to start creating my own. 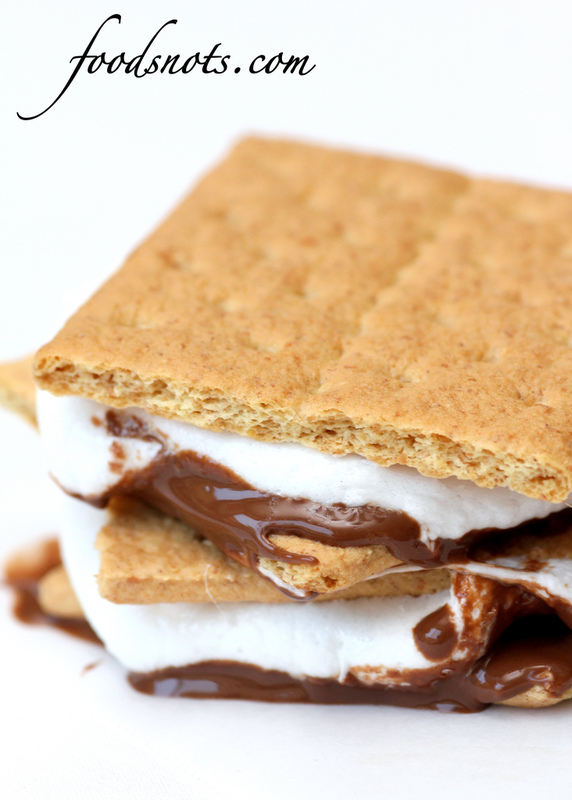 Combine that thought with the thought of camping and my favorite campfire treat. And voila, S’mores Monkey Bread. I mean, anything that incorporates this amazing treat has got to be a winner, right!? So, how to put it all together. I came up with doing a Graham Cracker Bread, with Marshmallow Caramel, drizzled with chocolate. A couple of things about this before we go on. First, I’m calling the Marshmallow Caramel, “Caramel”, but I do realize that it might now exactly fall under the definition of caramel. So please, no one message me just to tell me this isn’t actually caramel. I just didn’t know what else to call it, and in my world, it falls under the specifications. So we’re calling it caramel regardless. 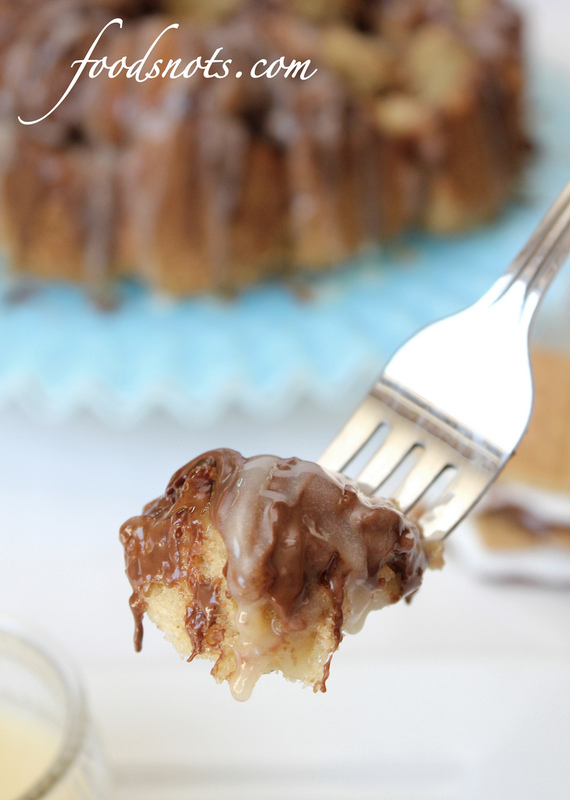 Second, you HAVE to use Hershey’s Chocolate Bars to drizzle over the top. 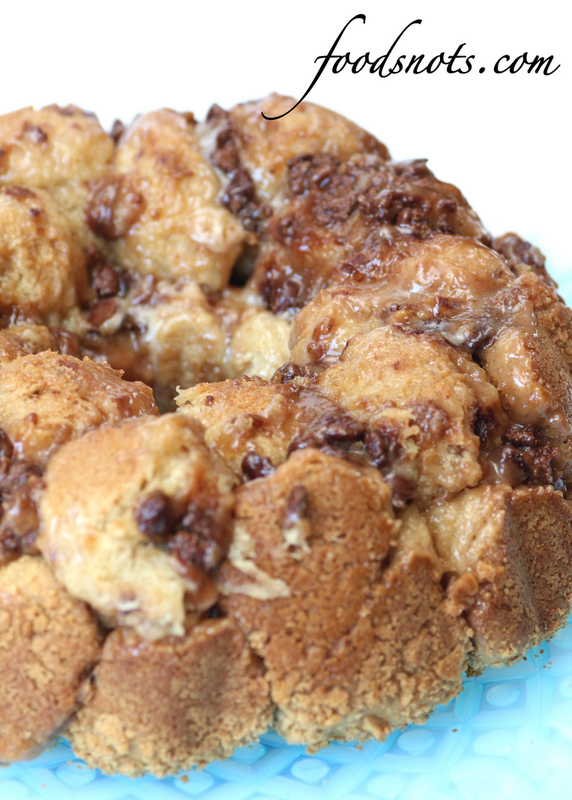 If you don’t, and you use just regular chocolate, your monkey bread will not come out tasting like a s’more. Hershey’s has a specific taste to it, and trust me, it makes or breaks this treat. Lastly, Make sure you spray your bunt/fluted pan with a generous amount of cooking spray. If you forget to do this, you will never get the bread out. So don’t forget!! 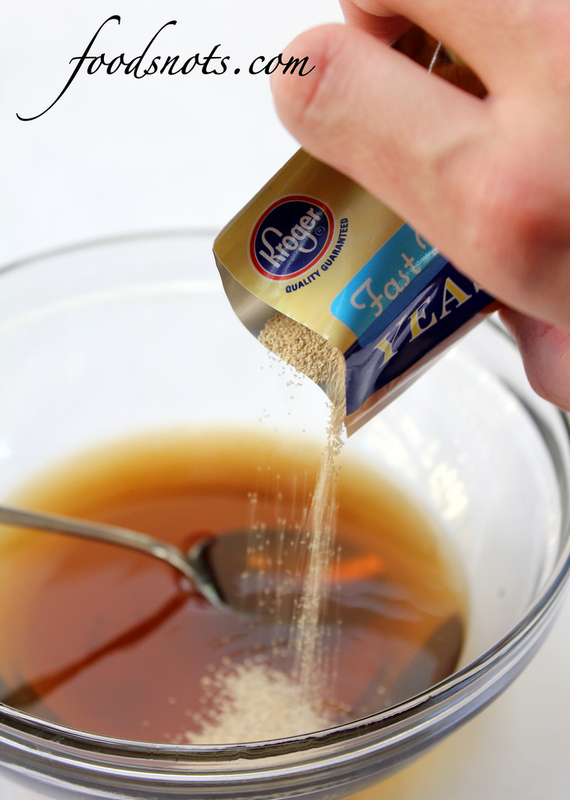 In a small bowl, combine warm water and brown sugar. Stir together until sugar is mostly dissolved. Add yeast and stir until dissolved. Let sit for 10 minutes until surface of mixture becomes foamy. 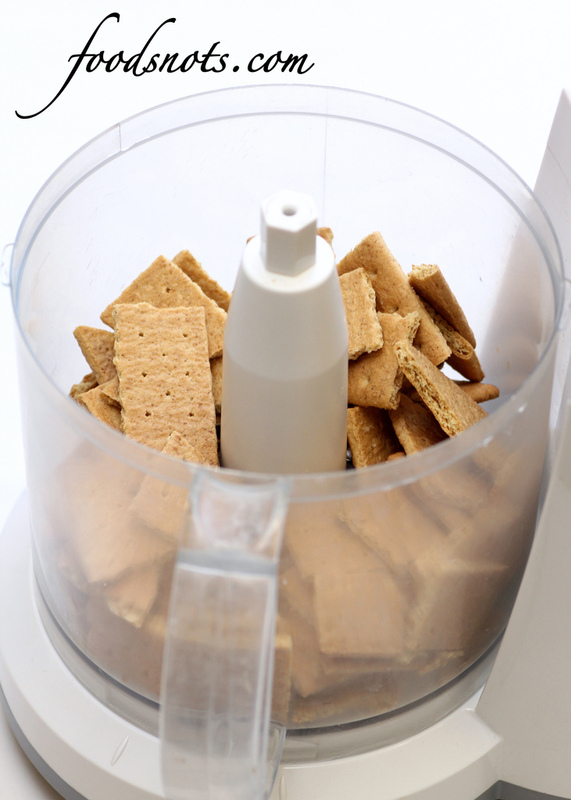 Meanwhile, in a food processor, add 1 sleeve of graham crackers. Pulse until graham crackers are very fine. 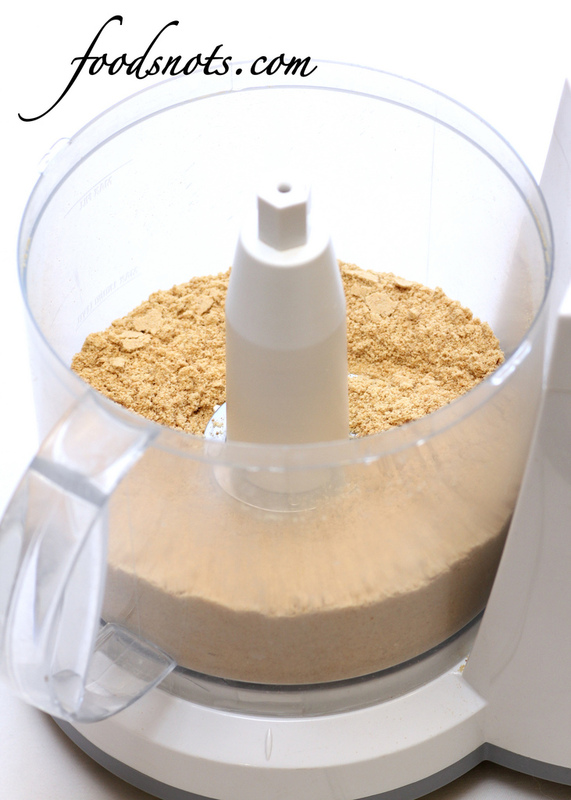 In a medium bowl, add 1 cup graham cracker crumbs, 3 cups all-purpose flour, baking powder, and baking soda. Mix together well. Set aside. 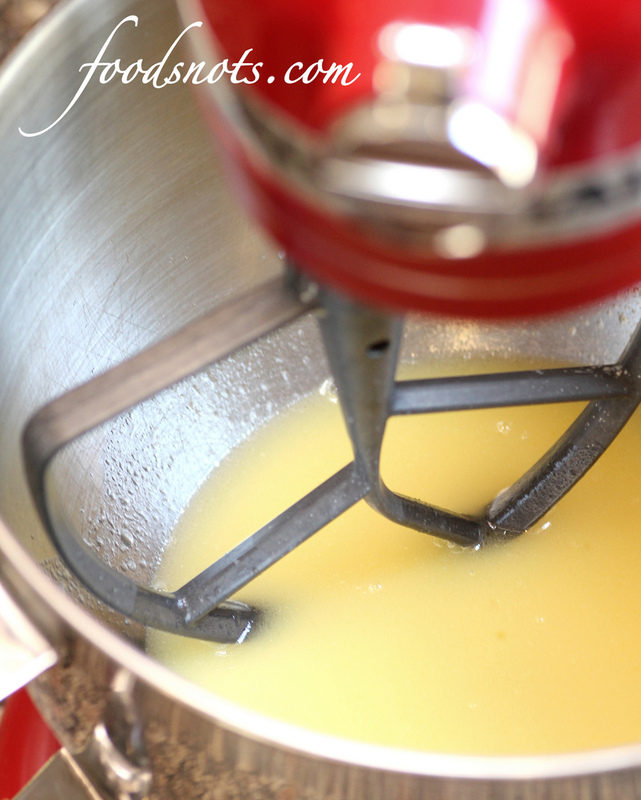 Add butter and milk to a small microwave safe bowl and microwave for 1 minute, or until butter is melted. Let cool slightly. Add to a large mixing bowl with eggs and salt. Mix well. 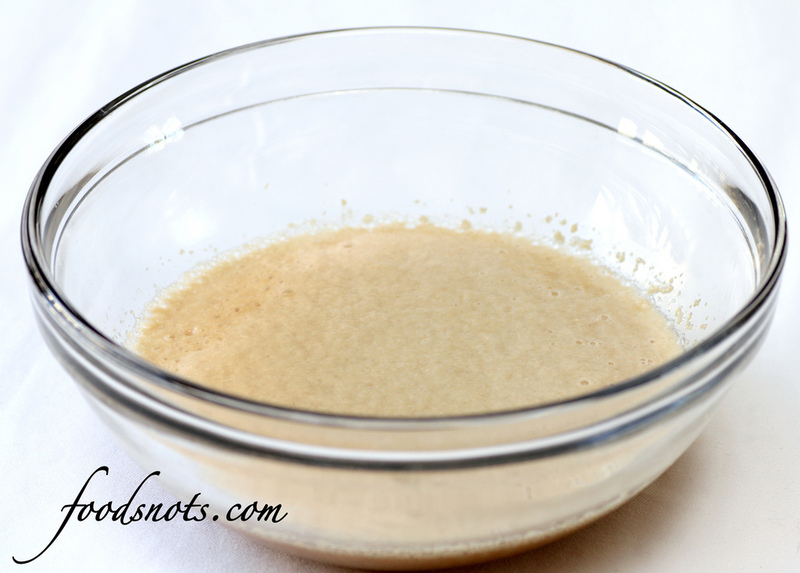 Add yeast mixture and flour mixture. 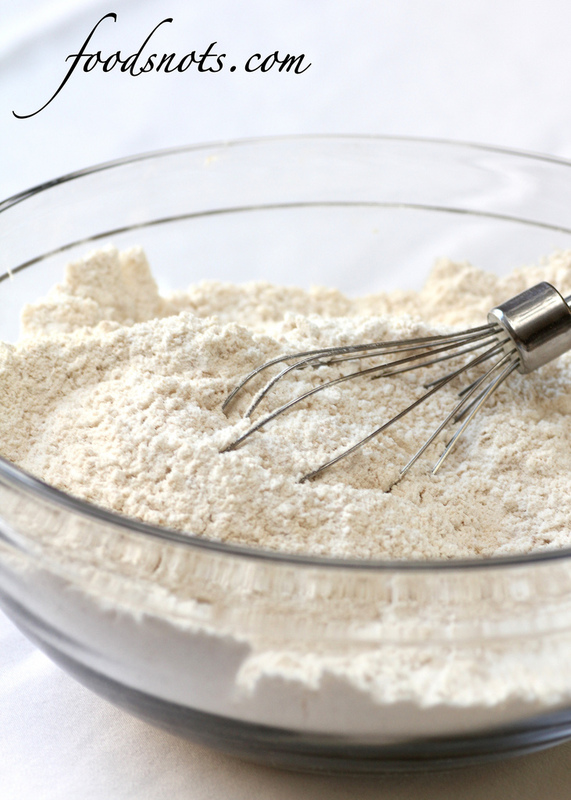 On a lightly floured surface, knead 2 Tbsp. of all-purpose flour into dough. Knead until dough comes together and is equally consistent throughout. About 5 minutes (by hand). 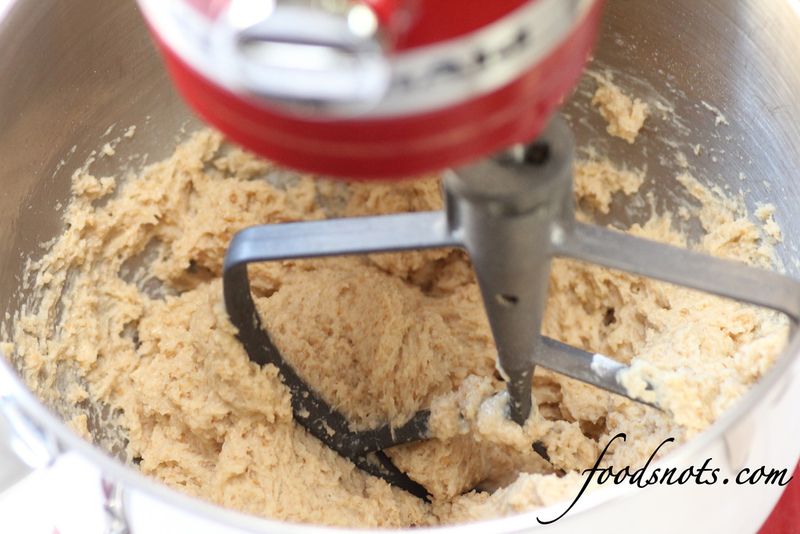 Place dough in a bowl coated with cooking spray, turning once to coat entire surface of dough. 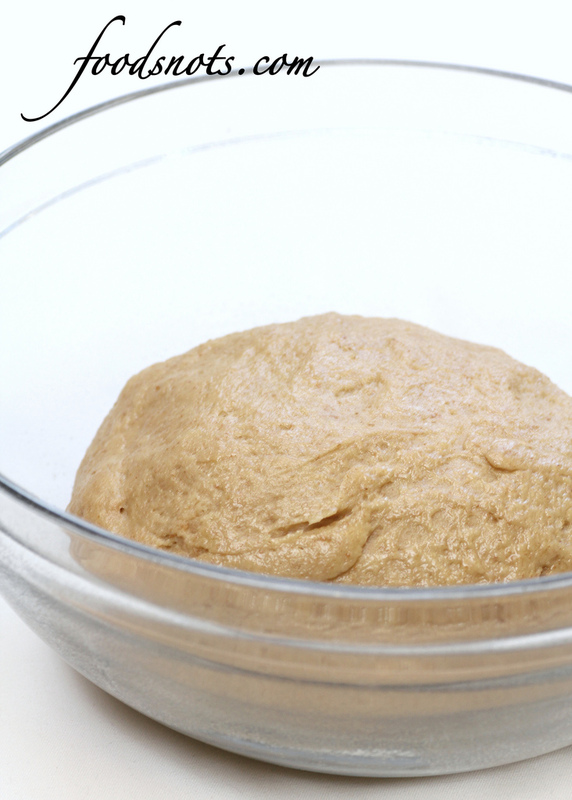 Cover and let rise in a warm place for 1 hour or until dough has doubled in size. 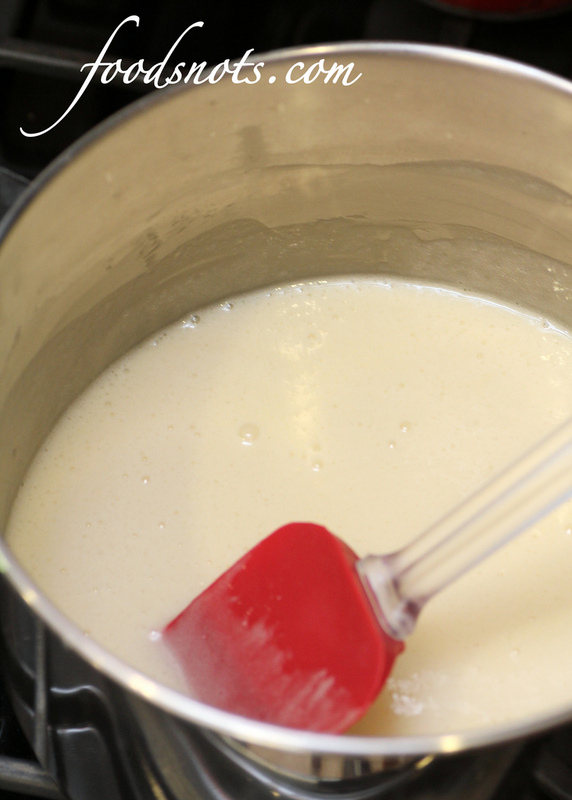 While bread is rising, make caramel by combining butter, sugar, heavy cream, corn syrup, and vanilla in a medium saucepan. Bring to a boil over medium heat and cook, continuously stirring. 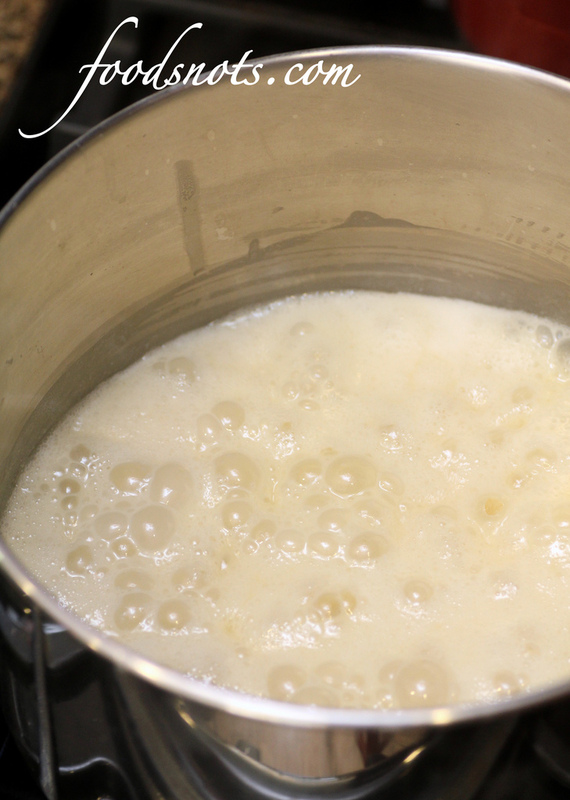 Boil caramel until sugar has dissolved, about 1 to 2 minutes. Turn heat down to low. Wait until caramel stops boiling. Add marshmallows. Cook on low heat, continuously stirring, until marshmallows are melted and mixture is smooth. Take off heat and let cool slightly before assembly. Prepare to assemble by taking 1 sleeve of graham crackers and placing in a large zip lock bag. Using a rolling pin, crush crackers into small pieces. Place in a small bowl and set aside. 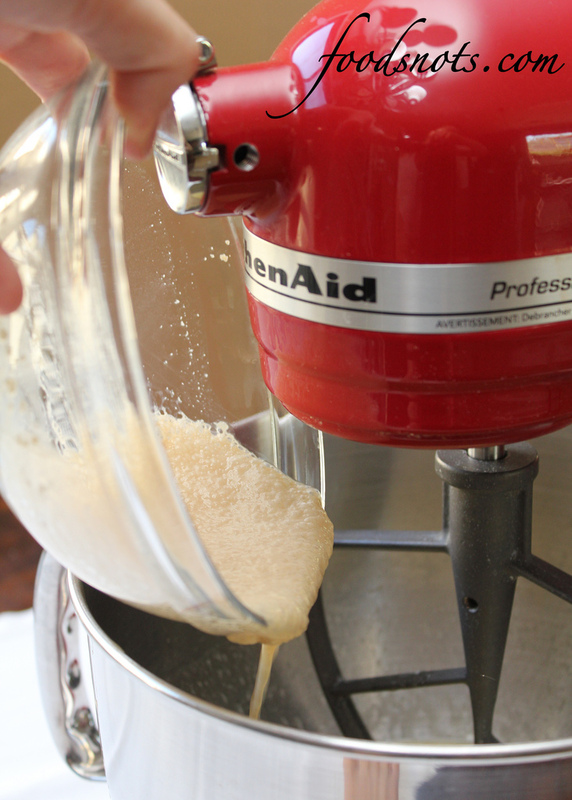 After dough has risen, pour 2/3 cup marshmallow caramel into a greased 10-inch fluted pan. 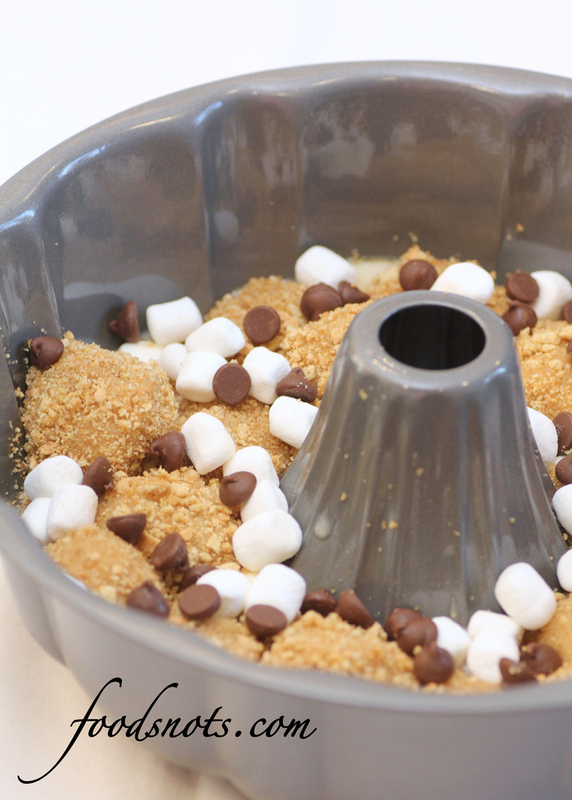 Sprinkle 1/2 cup marshmallows and 1/4 cup chocolate chips over caramel. Set aside. Punch down dough and shape into 40 balls (about 1-inch diameter). 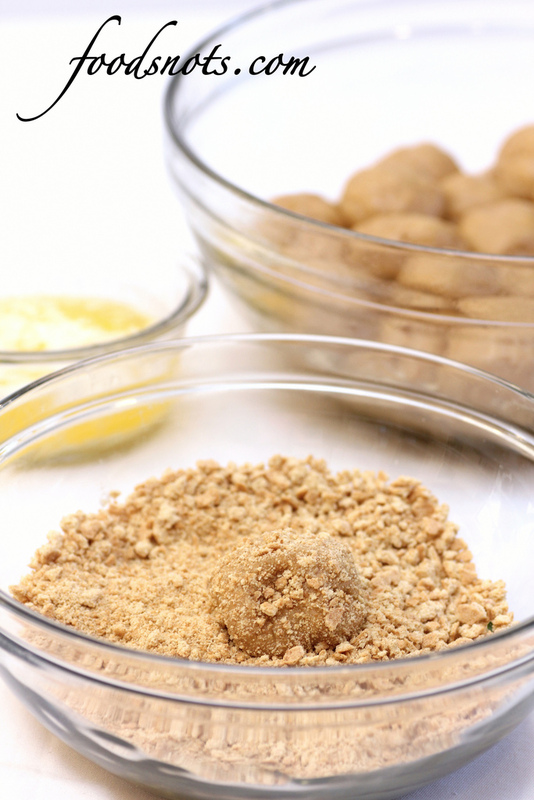 Place melted butter in a small bowl and retrieve graham cracker crumbs. Roll balls in butter, then roll in crumbs. 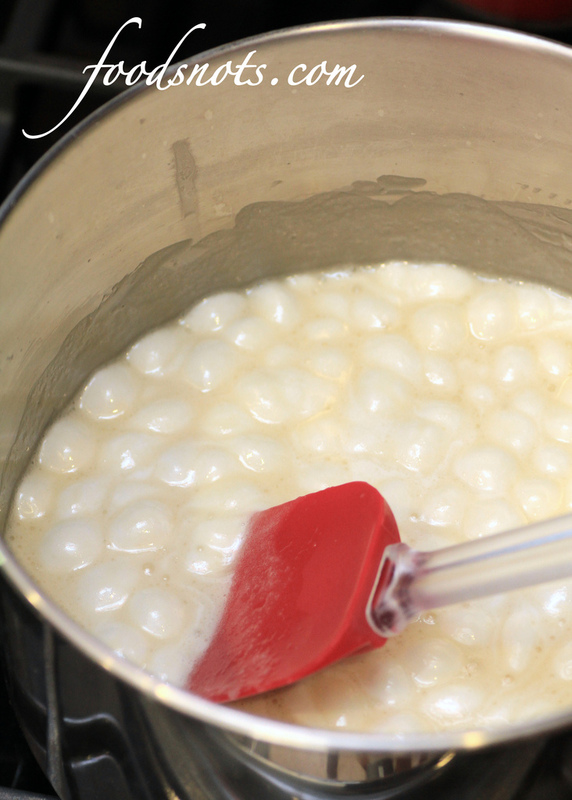 Place 20 balls in the pan over caramel/marshmallow and chocolate chips. 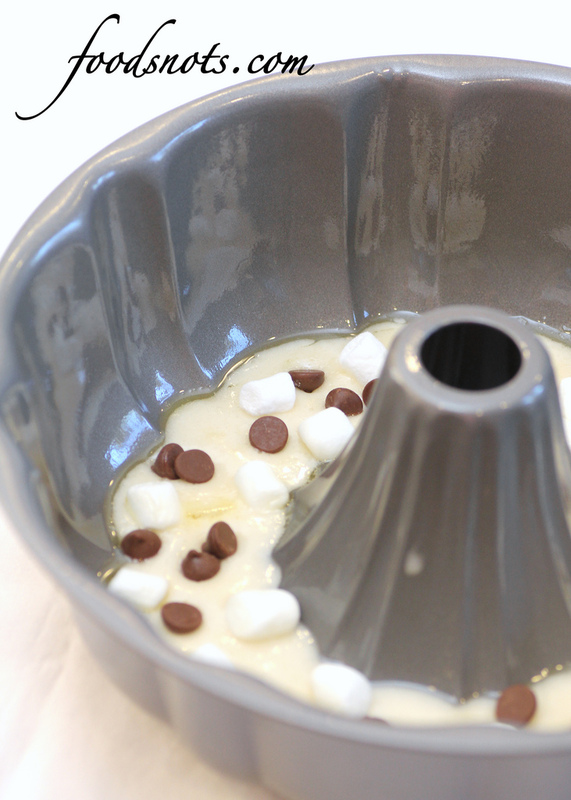 Drizzle 1/4 cup marshmallow caramel over dough balls, and top with other half of marshmallows and chocolate chips. 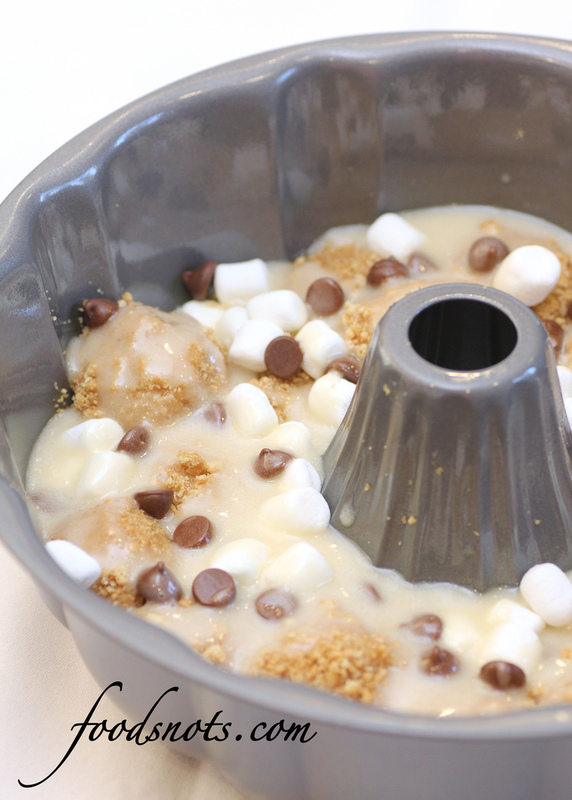 Pour 1/2 cup caramel over marshmallows and chocolate chips. 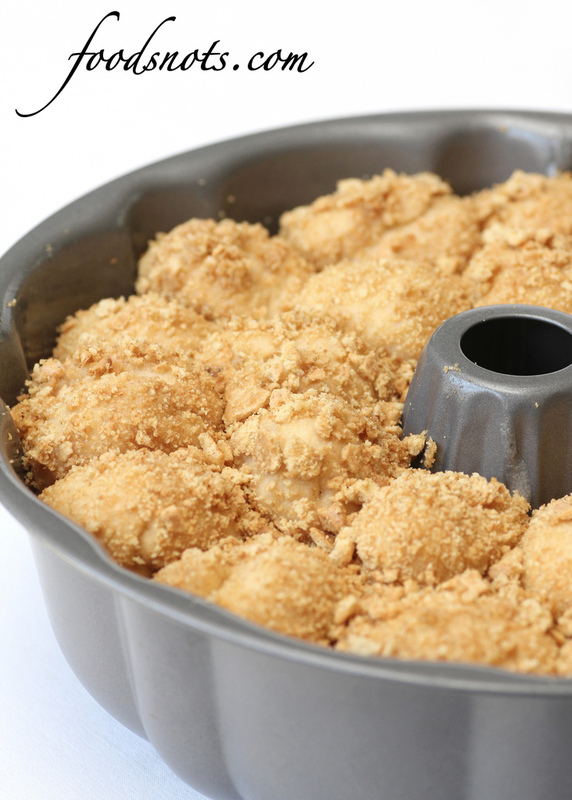 Roll remaining balls in butter and crumbs and place over caramel in tubed pan. Sprinkle some of the left over crumbs to fill in any holes between the dough balls to cover exposed marshmallow or chocolate areas. Cover and set in a warm place to let rise for another 30 minutes. Place fluted pan on a baking sheet and bake at 350 degrees F for 30-35 minutes. Cool bread in the pan until edges are touchable, about 3 minutes. Invert pan onto a serving plate. Do not remove pan until bread is just warm!! About another 5 minutes. (you don’t want to take pan off while bread is still hot or else it will fall apart) Slowly remove pan and set bread aside. 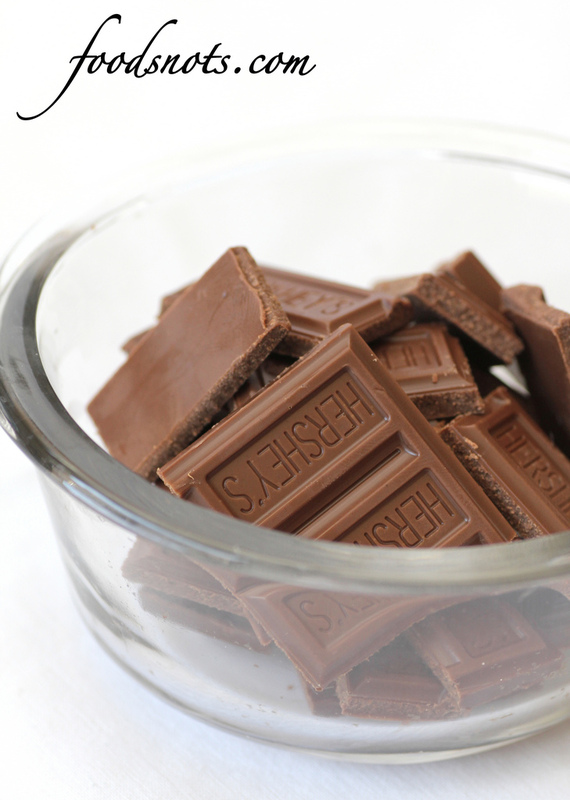 In a small microwave safe bowl, microwave 2 Hershey’s bars (broken up) for 30 seconds. 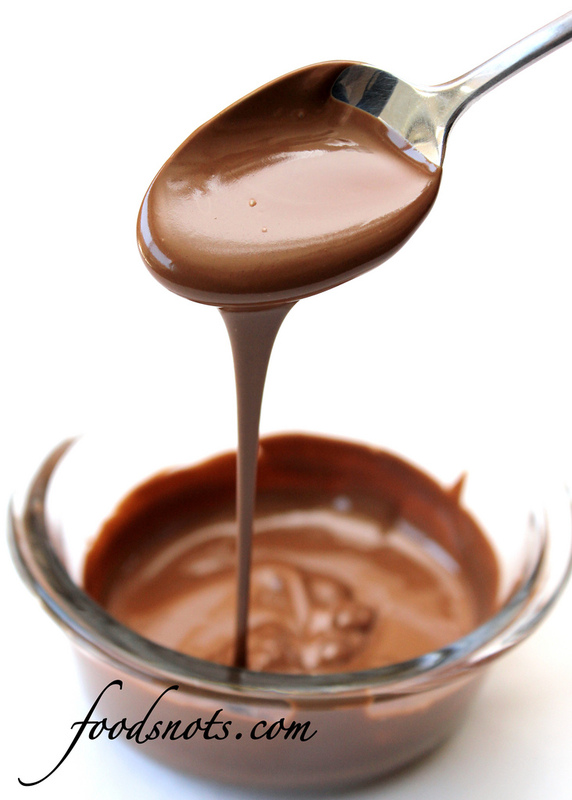 Stir chocolate until smooth. Pour melted chocolate into a small zip lock bag. 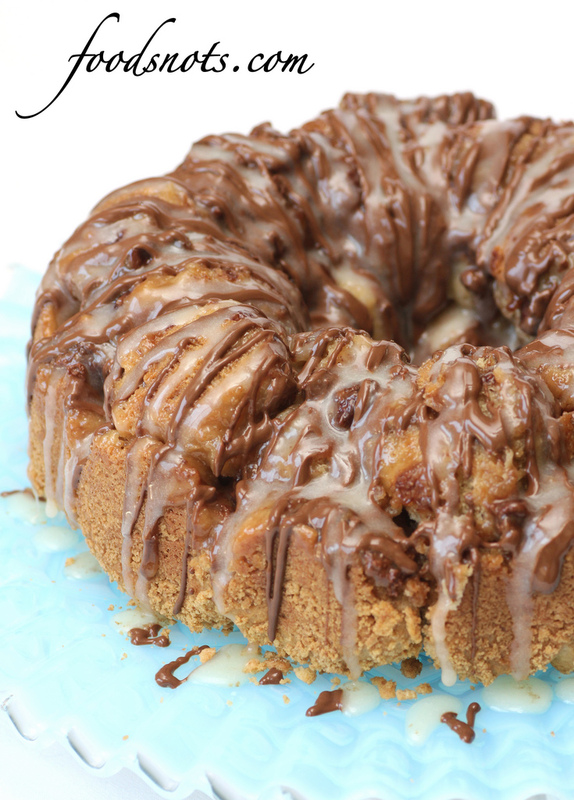 When chocolate is cool enough to handle, clip the corner of the bag and pipe chocolate over monkey bread. 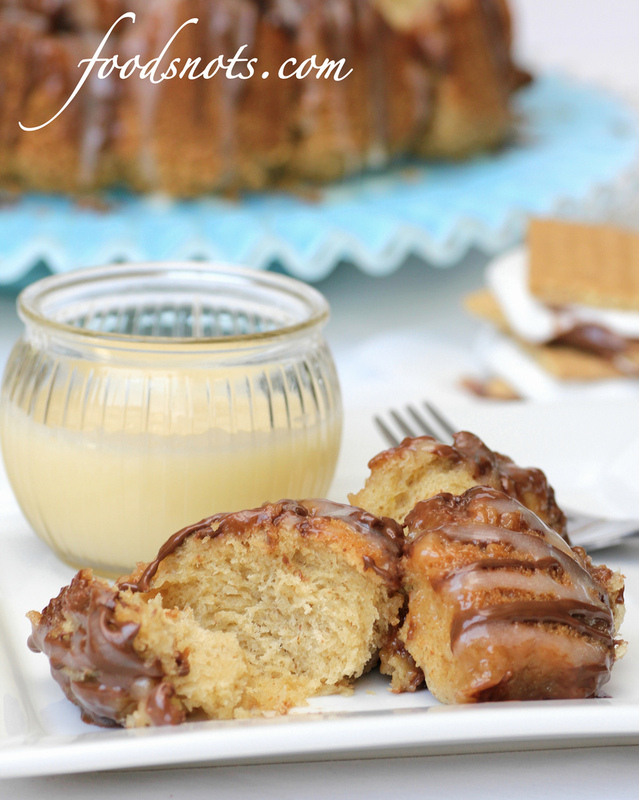 Repeat the same process by putting leftover caramel into a zip lock bag and piping over chocolate/monkey bread. (You may have to warm up caramel just a little.) If there is left over caramel, serve on the side for dipping. Bread is best when warm.